Amazon Fire TV Review: A Killer Cord Cutting Solution? I love that so many cord-cutting options have come out the past few years. 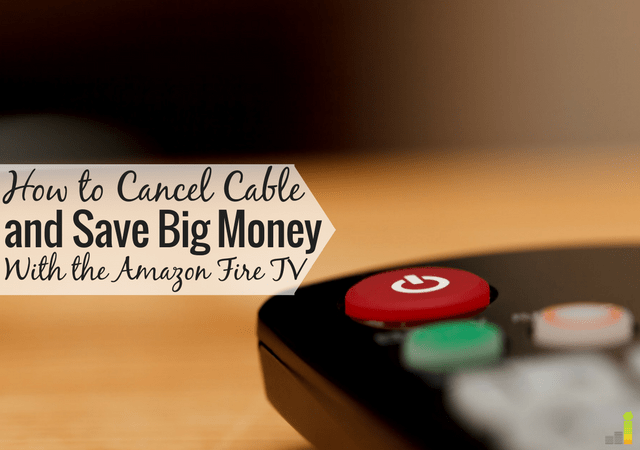 The Amazon Fire TV is just another option that has made it possible to divorce the cable companies and save hundreds, if not thousands, of dollars each year. We bought an Amazon Fire TV about two years ago and wanted to do an updated review for 2018 of our experience with the set top box from Amazon. The Fire TV isn’t our first device we’ve bought from Amazon. We also have two Amazon Fire TV Sticks and both work great. 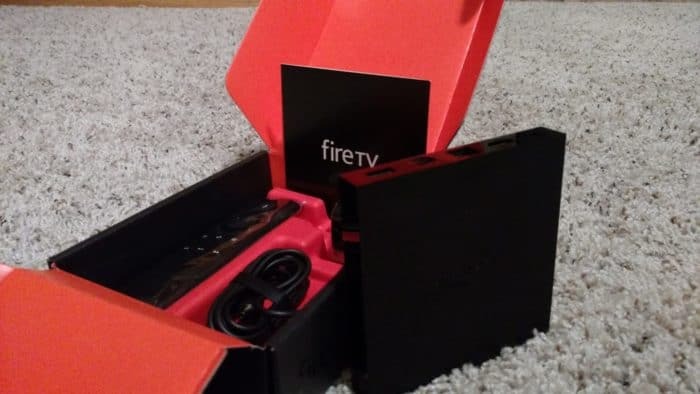 As you’ll see in my Amazon Fire TV review, it’s very similar to the Fire Stick but does offer several upgrades that make it worth a consideration given the right circumstance. What Comes With the Amazon Fire TV? When you plug in and install the Fire TV, Amazon provides a short video to walk you through the installation process. The video, while helpful, really isn’t needed to get the device ready to operate. You should be able to watch videos, play games, listen to music or more within five minutes of installing the device as it’s really that simple to set-up. What channels can you get with the Amazon Fire TV? 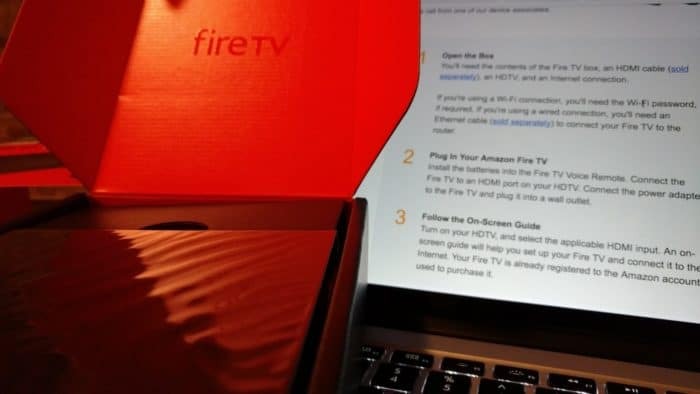 Many who want to cut the cord look for one thing – ‘what channels can I still get when I leave my cable company?’ The Amazon Fire TV won’t replace all channels, but it does provide access to a fair number of them. Some of the channels or apps will require login credentials. As you can see in our Fire TV Stick channels list, the Fire TV offers the same lineup of channels. Each service will add to your overall monthly cost, of course, but I have personally found that both Sling TV and Hulu Live work seamlessly with the Fire TV and give us no problems. Most may not know the difference between the Amazon Fire TV and the Fire TV Stick. I didn’t when we first started to look at buying the Fire TV. In all honesty, there isn’t a lot of difference between the two items on the surface. Both are based on the same platform so they operate very similarly and provide the same user experience. Both devices offer access to Amazon’s 7,000+ apps, games and Alexa skills plus access to other streaming services. They both also have a quad-core processor as well as 8 GB (16 GB for the Fire TV) of internal storage and simply require Wi-Fi connectivity to work. The Fire TV provides an Ethernet port; a digital output port; a USB port; and an expandable memory port for up to 200 GB of microSD storage – on top of the standard power and HDMI ports. In contrast, the Fire TV Stick offers only a standard power port and an HDMI port. The Fire TV isn’t as easy to transport as the Fire TV Stick. While still small, the Fire TV doesn’t provide the same pocket portability and plug and play capability that the Fire TV Stick does. The Fire TV is more responsive with fewer buffering issues. Not that the Fire TV Stick buffers a lot, because it doesn’t, but the speed difference is somewhat noticeable when going between the two devices. The Amazon Fire TV supports 4K Ultra HD quality pictures whereas the Fire TV Stick tops out at 1080p picture quality. If video quality is important to you, then the Fire TV will be the preferred option. The Fire TV is big for serious gamers whereas the Fire TV Stick is a little more lightweight. I’m not a gamer, so I’ve honestly not tested the difference between the two. In my research, the Fire TV Stick is good for gaming but is nowhere near robust as the Fire TV. When looking at Amazon Fire TV vs Fire TV Stick, it really comes down to what you’re looking for in a device and the value you put on it. If the premium options appeal to you, it may warrant the extra $70 cost. Having used both personally, I do see a difference but would be happy with either device. The new Alexa technology. We absolutely love this feature of the Amazon Fire TV. The remote is voice activated so you can use that to navigate the system and any other request you’d use the Alexa technology for – you can ask it for the weather, location of the nearest restaurant and so much more. You can read our Amazon Echo review for more on how it works as it brings most of that to your TV. It’s very simple to use. You can set up the system in less than ten minutes and start watching videos or live TV. You can’t beat that. Fast platform. The Amazon Fire TV platform is extremely fast and very responsive. That’s great if you’re impatient like me. Good storage capacity. The Fire TV provides an ample 16 GB of internal storage and up to 200 GB of expandable storage. This is in addition to the Ethernet port it provides for gaming. Easy to use remote. I wasn’t certain how I’d like the voice-activated remote, but it works great and is very easy to use. Great video quality. If you have a 4K Ultra HD quality TV, the video quality really stands out. However, it’s important to get the one that matches with your TV. If your TV does not have 4K Ultra HD capability, then the Amazon Fire TV will not be worth the extra cost vs. going with the lower cost Fire TV Stick. It nearly requires having Amazon Prime. You can still have a Fire TV if you don’t have Amazon Prime but you will be limited in what you can do with the device. We have Amazon Prime, so it’s not an issue but you really need it to take advantage of all it can do. One click ordering. Since we have three young kids, we’re not fans of one-click ordering. Amazon defaults the Fire TV to allow it but it is a simple fix to disable it. The other problem is our daughter has an Amazon Kids Fire Tablet and we’ve put restrictions on it to limit how much time she can spend on it each day. This causes a problem as it requires us to put in our pin code twice when we want to watch something. To be fair, this happens on both our Fire TV as well as the Fire TV Stick. 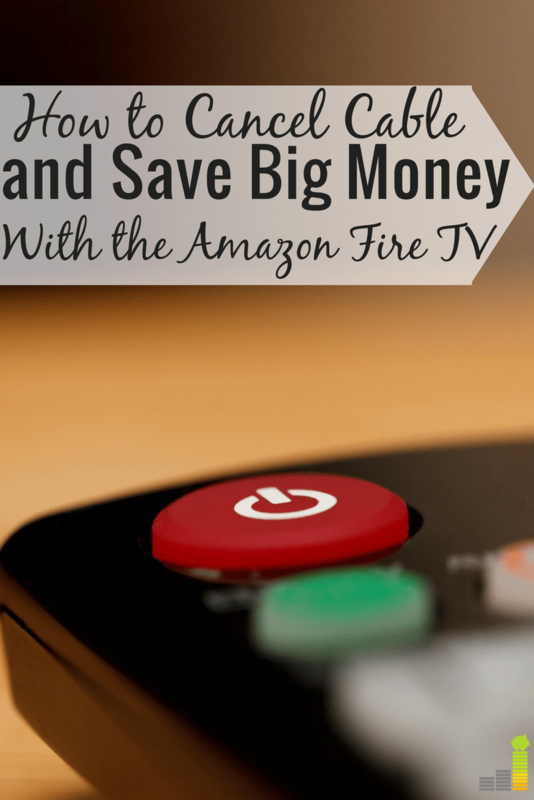 I’ve been asked a lot of questions over the years about the Amazon Fire TV. I’ve put a few of the common questions below, along with answers. What Internet speed do I need to use the Fire TV? Per Amazon, you need a speed of at least 3 Megabits per second to use the Fire TV for SD content. If you want HD content, then you need at least 5 Mbps. If you want 4K Ultra HD, then you need at least 15 Mbps. Do I need a Fire TV to access streaming platforms? That depends on the TV you currently use. Some smart televisions let you access Sling TV, Hulu, and more directly from their platform. Others require a different platform. Check with the manufacturer of your TV to see what’s needed. Does the Fire TV offer closed captions? Yes, the Fire TV provides closed captioning. Can I watch YouTube on Amazon Fire TV? You can have as many Fire TV as you wish, but Amazon only allows you to stream content simultaneously on two devices. Can I watch all cable channels, or pay-per-view events on the Fire TV? The short answer is no. There are services available that let you jailbreak the Fire TV and get unlimited content. Many will argue that is stealing content, and it’s not something we’ve attempted to do personally. Can I access everything on the Amazon Fire TV channels list? Yes, each device comes with access to all of the same Fire TV channels. a handful may be pay options (like HBO Now), but many of the others are free to use. Overall, we’ve been very pleased with the Amazon Fire TV. We love the additional capabilities that Alexa technology offers, not to mention the upgraded video quality. I will also add that if you’re on the fence choosing between the Amazon Fire TV and the Fire TV Stick you can’t really go wrong with either choice. It comes down to how much the differences mean to you and what you’re looking for in a device. We have both and love both devices for different reasons. Mohu Leaf 50 antenna – usually runs around $60 – $70 but is a solid antenna that allows you to watch local channels without cable. We have one on each of our TVs and they work great. Roku Streaming Stick – Similar to the Amazon Fire TV Stick, Roku retails for around $45 and is another good option to consider. Hulu. I mentioned Hulu above and it’s a great option if you want to cut the cord. With prices at $5.99 or $11.99 per month, you get access to many shows the day after they air, not to mention their own original content. 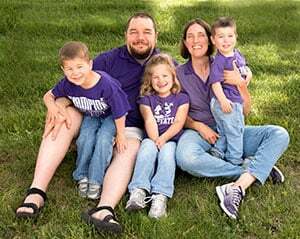 While there may be some upfront costs to cutting the cord, you can recoup the cost with the resultant savings in three to four months; then you continue to keep the savings. 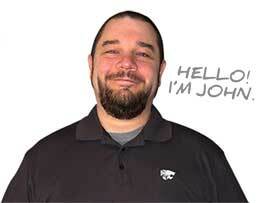 At $80 – $100 per month, or more, it’s well worth it to find an option that works for you. What are your thoughts on the Amazon Fire TV? What streaming services have you used to try to save money on cable? Do you still have cable – why or why not? Seems like there isn’t much difference between this and the Roku? I think people get confused about what these things are and are not. You aren’t going to get at on of free streaming content, but more so a platform to add on channels. I think you explained it well in this post. I got the Roku first and I like the user interface so I’m stuck on that. We only have one TV right now but would like to get a second one (though not a priority because it probably won’t get used much). I think we’ll stick with the Roku for that one too. We don’t have a Roku but from all of the reading I’ve done on them both I think you’re right and really just comes down to your preference. Good point DC about thinking it’ll replace everything. It won’t. It’ll give you access to a few things but not everything by any means. I have a Roku Premiere + but just bought a fire tv mainly hoping it will solve an issue I have with the Roku dropping audio about 10 times per movie/show I watch when using the Roku through my Vizio tv and Samsung soundbar surround system. it only happens on the Roku and not if I stream from my phone using the built in Chromecast etc. I have read a ton about this issue on the Roku forums and Roku has no fix so I am hoping the Fire tv will not suffer from this same issue. I will move the Roku to my bedroom tv without surround sound. Wow, didn’t know that at all – thanks for sharing Bart. Hopefully you won’t run into the same issue with the Fire TV. I am ready to cut the cord on my cable company. I recently was gifted a Amazon fire stick. What is it I need once I leave my cable company? Do I just need internet service? Very cool, you’ll love the savings! Yes, for the Fire Stick to work you’ll need internet service and that’s it. The one thing to know is the Fire Stick does not provide access to local channels. If you want that, you can find a digital antenna anywhere for a one-time cost of $20 -$50ish and be good to go. We cut the cable and now have 3 Fire TV boxes around the house. We primarily run Playstation Vue on it to watch all our previous cable channels and sports. We watch movies via Amazon Prime Video (both free and pay per view), watch YouTube videos via the YouTube app, and have side loaded Kodi for more movie options. The remote is great and the entire setup is easy to navigate, reliable and entertaining. If cable were free, I wouldn’t go back. As it is, I am saving over $90 per month vs. cable. As for Roku vs. Fire TV, Fire TV is best for us since we are Prime members, reviews said Fire TV worked better with Playstation Vue, and we wanted to add free movies with Kodi. And you can side load virtually any Android app on the Fire TV, something you can’t do on Roku. Most importantly, with all of these boxes give us freedom! Since they are platforms for media apps, as new services roll out, I can switch easily to something better by simply loading a new app. Sounds like you’ve found a great setup Crawdaddy and love the savings! We’ve not tried Playstation Vue yet but may give it a try. Good question Jim. Thankfully you don’t need to be all that technically adept, if I can do it then I know you can. 🙂 That being said, if movies are of no concern for you, then I’d look at either Sling TV or DirecTV Now. The former is a bit cheaper, but the latter is a far better product. Either should get you most, if not all, of the channels you’re looking for. I’ve put my reviews of each below. I just ordered a used Amazon Fire TV to try the DirecTV Now. In the discription it said it had 32 meg of memory and I have seen others that have 64 … can you tell me the difference and what it means to me as a beginner. The Fire TV actually has 2GB of memory, according to Amazon so not certain where you’re seeing 32 vs. 64. That being said, it really doesn’t mean that much as it should be more than enough memory for most. It only gets you access to the apps/channels listed, but you may need cable logins to access some of them. The Fire TV really isn’t like other cable replacement services, you’d want something like Sling TV or DirecTV Now to access many channels. I’m just now looking into cord-cutting and I’m a bit confused. The Fire TV connects to your wifi network to offer up various services. How does this differ from the internet access my TV has and the services it offers? Do I need something like the Fire TV if my TV has internet capabilities? Good question Bill! If your TV has wireless internet capability then you’re good – aside from losing out on the extra apps the Fire TV offers. That’s why we prefer the Fire Stick as it’s portable and it likely allows you access to significantly more apps. My mother likes to watch cable news. Is Fox News Channel and Headline News available on a Fire Stick? Unfortunately, it’s not Tony. She’d need a streaming service like DirecTV Now or Sling TV to get either of those. Both do not require a contract and are around $35 per month to get access to a fair number of cable channels. We live in the country and get our TV via DirectTV Satelite. Are we stuck with DirectTV or DishTV? Not necessarily. There are two options you could consider, largely in the form of a streaming, no-contract provider. You could use someone like Hulu to get content. It won’t replace everything and most network shows are delayed by 24 hours. The other option would either be DirecTV Now or Sling TV. Both will get you access to a lot of different cable channels with no contract. The main downside to those is you don’t get access to locals. Net, which EVERYBODY around here says to definitely stay away from. Comcast just reduced our Mbps from 25 to 3 with no corresponding cut in the cost. If we want to go back to 25 Mbps it will cost $35 more per month. This idea of cutting the cord is great but if it needs very high internet capacity I might as well stick with Directv for TV and Comcast for internet & phone. I don’t use a cell phone enough to warrant $50 a month for that either. Altogether I pay $145 for Directv (incl HBO & Showtime). $94 for internet & landline. $12 for a cell phone which I still have thousands of text messages and several thousand minutes of rollover from Tracfone. Do you have any suggestions for those of us in the stone age as far as internet? Oh, sorry to hear that Ella. I’d check out this post for some ways to get better Internet without cable that could very well save you some money each month. We have a home in Florida and in Kentucky can we use our fire tv along with play station vue in both places? Great question Danny. Yes, you should be able to use both. You might need to go through the hassle of unplugging one to use the other, but you can definitely do it. I’ve recently cut the cord even though I’ve had the Amazon Fire box for a while. I didn’t realize it had anything but movies. I subscribed to Sling and didn’t like it so I switched to Directtv Now. I don’t like it either. I’ve been searching for hours to find the monthly cost for certain channels, History for one, and can’t find the information. Can you tell me how I can find out the monthly charge for all channels offered? Sorry to hear you don’t like those Pamela. No service is perfect unfortunately. Looking up cost for The History Channel appears to be $4.99 per month. I don’t know of anything that lists the costs of all available channels. Many channels simply don’t have a standalone service they offer, which is why a streaming service tends to be a better alternative. I am thinking of cutting the cord.I live in West Virginia, and in the country surrounded by mountain’s.I already use a Roku on 3 TV’s.What is the best service to subscribe to watch tv? I already have netflix and amazon.But I need to know where to go to get a lot of channel’s.I pay $225 and up for Dish and am sick of being ripped off.And my bill is different every month. I remember being frustrated with the up and down bills each month Donna. We hated it. That said, we recommend DirecTV Now and Hulu Live as the top options. Both are no-contract and have 40+ channels – typically the most popular cable channels out there, at a fraction of the price you’re currently paying. How does this work with multiple TV’S? Does each need a Fire stick or Fire TV? Do I need a subscription for each TV or one for the house and the code is good on each system? We are considering the fire stick for 4 TVs. They are not connected to the internet. We are not tech savvy. Would we need 4 fire sticks? Would we get local channels? You would only them if you plan on watching on multiple TVs at once. They’re plug & pay so they’re easy to move. I’m not tech savvy either but they’re very simple to use. You will not get locals through the Fire Stick. Check out this post – how to watch local TV without cable to see how to do that.